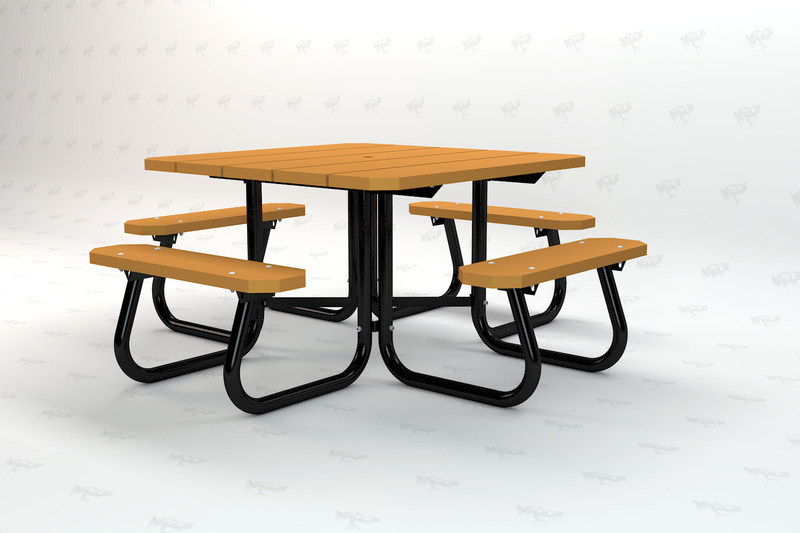 Made with nine 2” x 10” Resinwood slats and a heavy duty 1 5/8” OD steel tube base. The base is hot dipped galvanized and then powder-coated for maximum durability. The recycled plastic slats are cornered and rounded to ensure comfort. 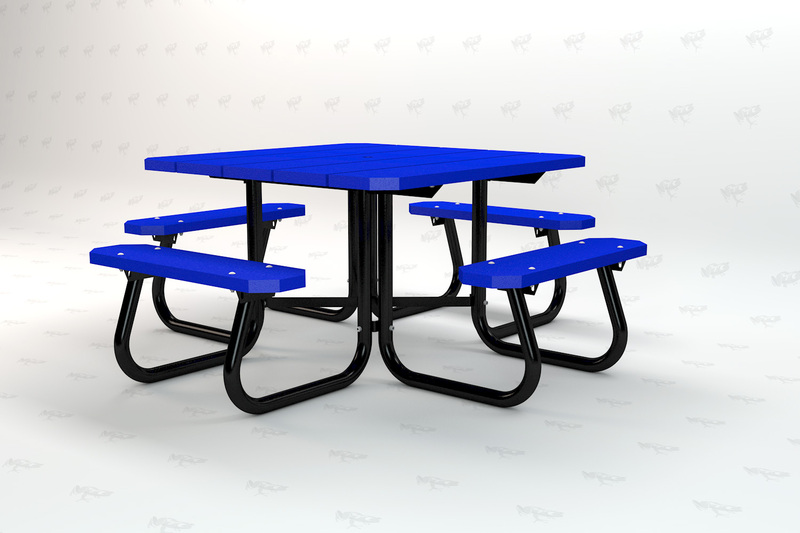 The frame is black and comes in a standard 4 sided seat configuration with a 3 sided ADA seat configuration as an option. Heavy duty, zinc coated hardware standard. Stainless steel hardware available. Custom colors available for larger orders. 4 ft. / 1 base / 250 lbs. 4 ft. ADA / 1 base / 220 lbs. Click on any file below to download.